Offering the best of style and comfort, this ultimate clothing set is brought to you by Zero. Fashioned using premium quality fabric, the set includes a smart round neck tee and elasticated waist shorts that will keep your child at ease the whole day. 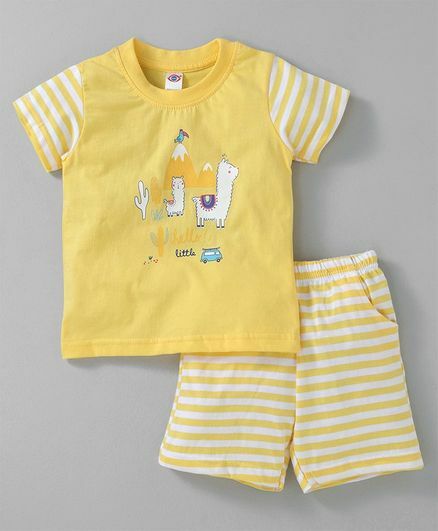 Soft fabric of the set helps keep your child snug all day long. Styling Tip: Pair with shoes and a cap to complete the look. fabric is so soft...comfortable for babies...i bought it on 40 % discount (147 ? )..